The K.O. 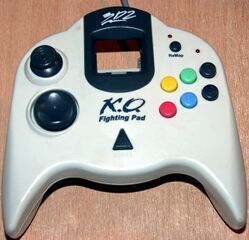 Fighting Pad is a third-party controller for the Sega Dreamcast released by 3D2. It is a six-button controller with reprogrammable buttons, and is available in at least two colours.